Sprint and LG have announced the upcoming arrival of an Android device that perfectly pairs fashion with technology – LG Marquee Android, exclusively from Sprint. The Android handset will be launched in partnership with non-profit design collective MADE, formally known as M·A·C & Milk, at this year’s MADE FASHION WEEK in New York City. Keeping with the smartphone’s innovative convergence of technology and fashion, LG enlisted Stacy London of TLC’s “What Not To Wear” to act as resident style mentor to five up-and-coming MADE designers as they craft chic carrying cases for LG Marquee. LG Marquee runs on Android 2.3 and comes with mobile hotspot capability supporting up to 5 Wi-Fi enabled devices simultaneously. It has 5MP rear camera, 2MP front-facing camera for video chatting, a 1GHz CPU, and Adobe Flash technology. Sprint LG Marquee Android smartphone also features Sprint ID, allowing users to customize up to five screens on the device with a couple simple clicks. Sprint ID allows users to cut through the clutter of Android Market’s more than 250,000 apps by simply selecting from a variety of mobile ID packs featuring apps, ringers, wallpapers, widgets and more. Available Sprint ID packs include: Fashion and Beauty, E!, MTV Music, Green, and NASCAR Sprint Cup. LG Marquee arrives on the Sprint Network on Sunday, Oct. 2 for just $99.99 (excludes taxes) with eligible upgrade or new two-year contract and after a $50 mail-in rebate via reward card1 (pricing excludes taxes). 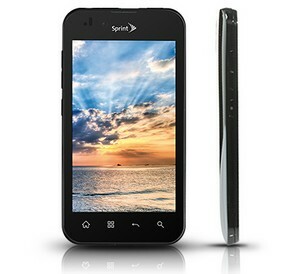 It will be the first Sprint device to be sold in advance online. Pre-sale orders begin on Tuesday, Sept. 20, and end on Tuesday, Sept. 27, at sprint.com/marquee. Customers who pre-order LG Marquee will begin receiving their devices on Thursday, Sept. 29 – three days before the device goes on sale. 0 comments on "Sprint LG Marquee Android smartphone announced"